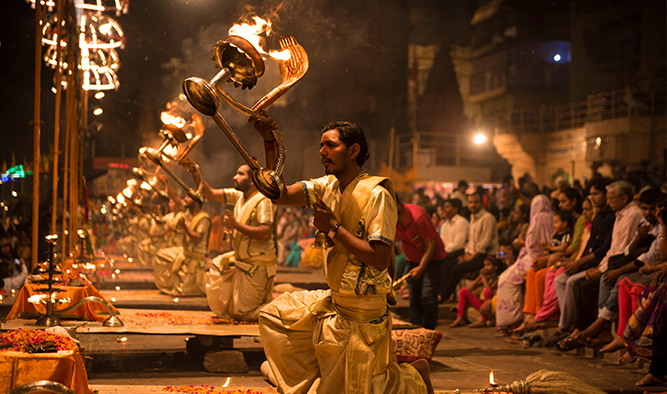 Varanasi is one of the oldest cities in the world and also a cultural extravaganza. From those embarking on the enlightened path to the ones interested in capturing the famous bustling streets of Varanasi, the place welcomes all. A dip in the holy Ganges of Varanasi city is known to wash away all your sins. Among Indians, the last breath taken in this spiritual land stands as the ideal way of getting liberated from the cycle of rebirth. Experience the charm of Varanasi with the commendable hospitality of Ganges Voyager and its crew. 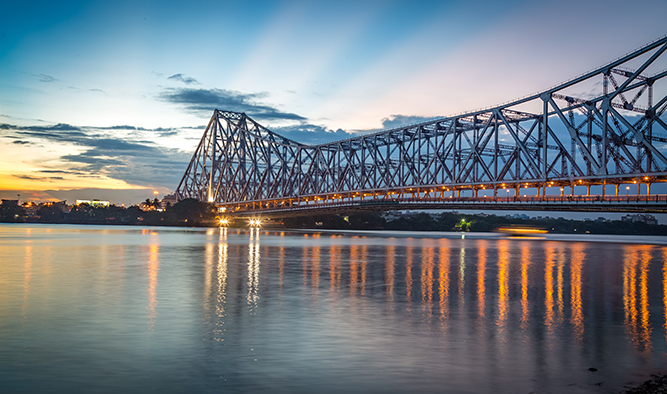 After an early breakfast on the ship, we will drive you to the Kolkata Airport. You will be boarding an IndiGo flight to Varanasi. On arrival, we directly take you to the hotel where lunch will be served to you right away. Join us for a cycle ride through the mystical streets of Varanasi and a boat ride on the Ganges with an uninterrupted sight of the evening Aarti. Start your day by soaking in the spiritual essence of the morning Aarti through a sunrise boat ride on the holy river Ganges. After the breakfast, you can head out for a tour to the Silk Factory. After an early lunch, we drive you to the airport for the flight to Delhi followed by a comfortable accommodation in Delhi for the night.